Mika has been our sock folder for many years now, often and willingly pitching in with the most tedious task of laundry folding. 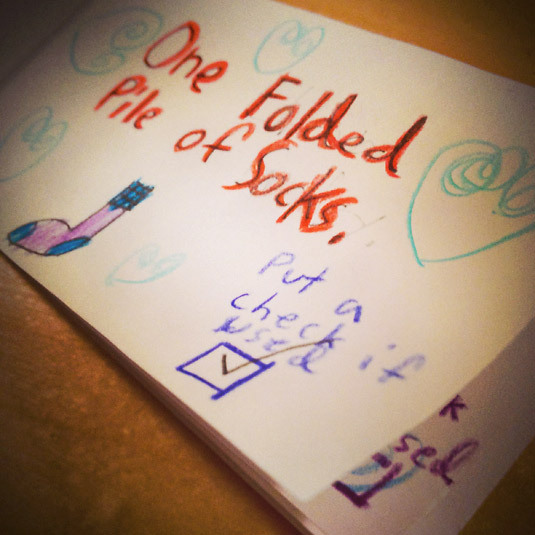 In the past year, Tobin has helped her match all socks into pairs prior to folding, and they have become a very efficient team. 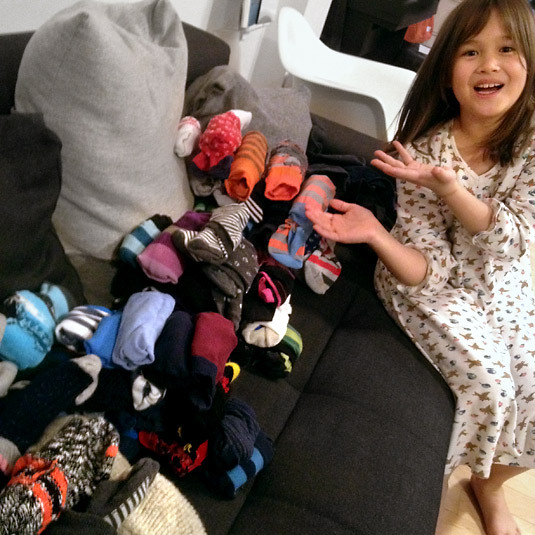 This past weekend, we had a particularly big heap of socks to go through, so I decided to use one of the generous coupons Mika gave me for my birthday. With great satisfaction, we checked off the little box after a job expertly done.